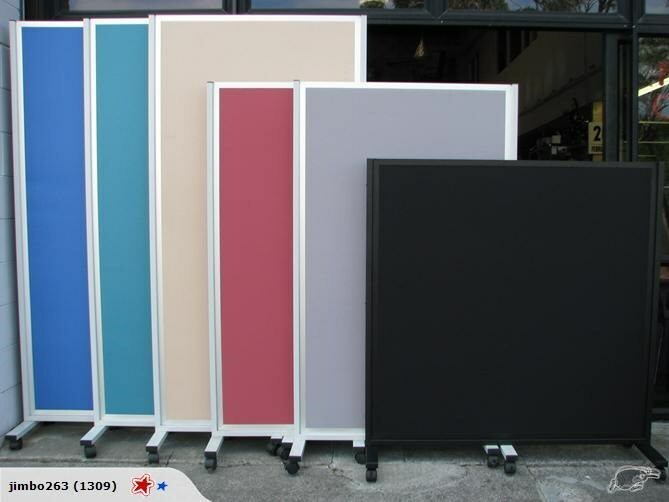 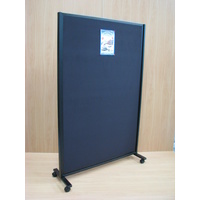 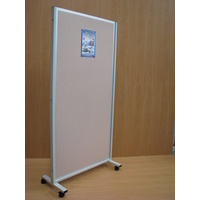 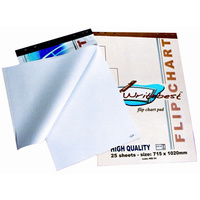 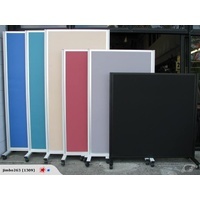 Mobile Display Divider 1500mmHx1200mmW double sided 12mm soft board with Fabric surface. 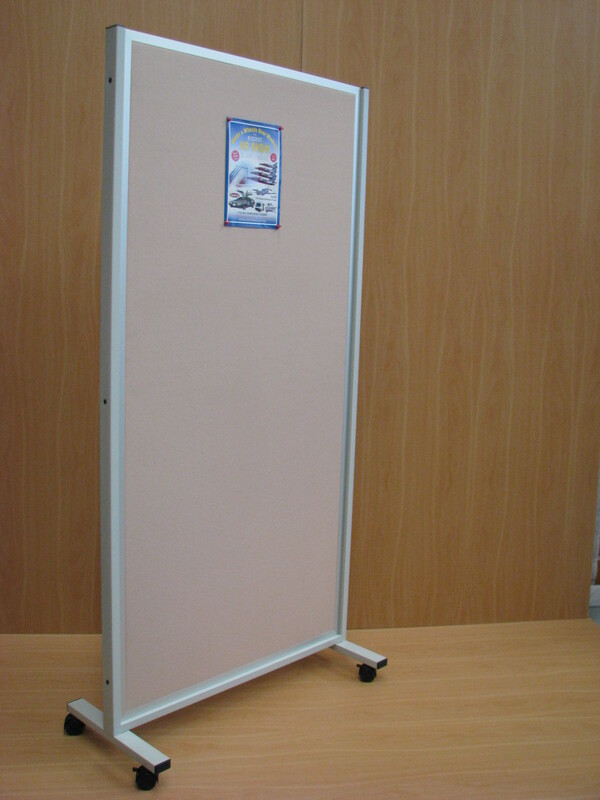 Aluminium inner frame with a 25mmx50mm hollow steel outer frame Epoxy coated. Comes with feet and lockable castors.